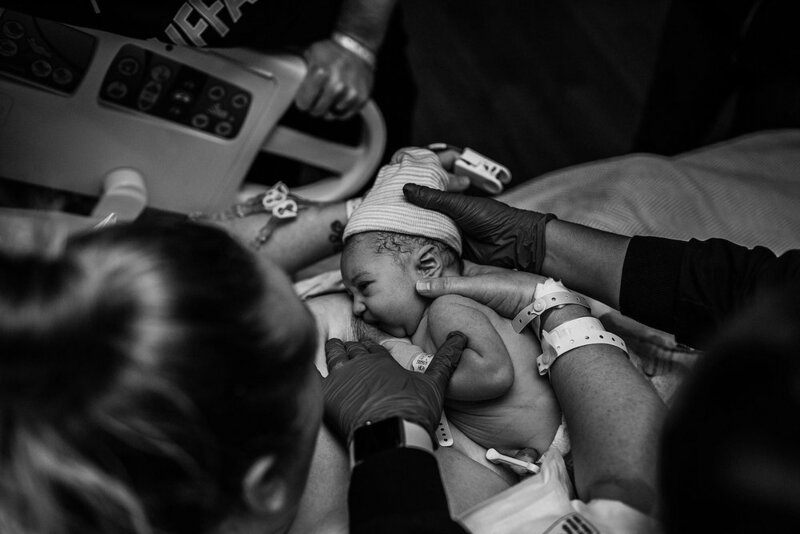 Shandi reached out to me to photograph the birth of Finnley all the way from Corpus Christi, TX. If you know Texas, you know the distance is about 2.5 hours from San Antonio and I excitedly agreed to make the commute as long as I had a trusty backup photographer on hand. We talked extensively about the commute and what would happen if I wasn't there, but I assured her I had no intentions on missing this birth. 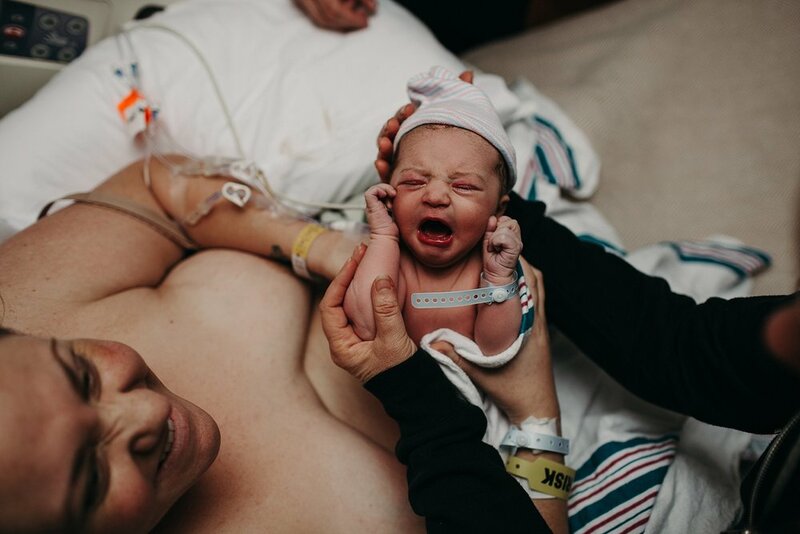 Her and her sweet family would not be here in Texas for too long but her birth landed smack dab in the middle of their stay here. On August 9th I had been in contact with Dave, Shandi's husband and he let me know that Shandi would be getting induced and to be prepared to head on over. I felt an overwhelming amount of worry and decided I would rather be there waiting, then miss it or not be there at all. I arrived in Corpus, Christi around midnight, ate in my car and decided to head in to greet everyone. Mom was at about a 4.5 at the time, making wonderful progress so I decided to stick around. The family didn't mind me waiting in their room so I napped off and on through her labor. 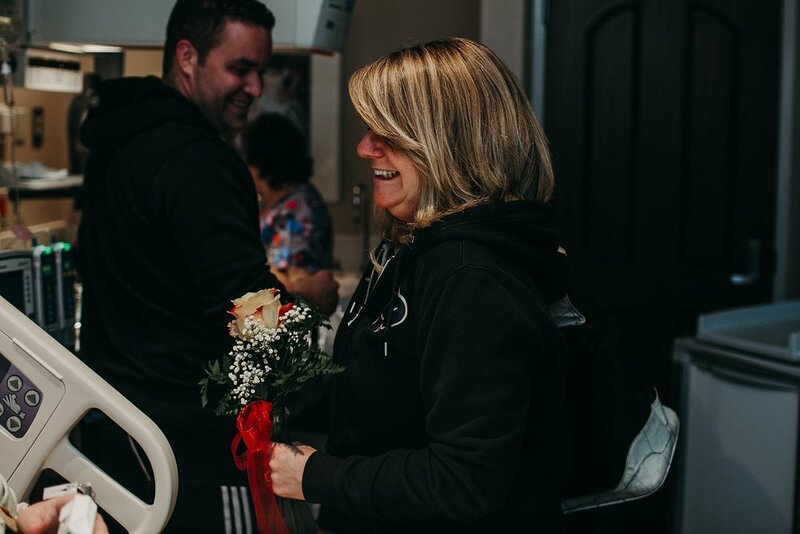 Dave was constantly by Shandi's side, rubbing her hands, kissing her, embracing her and showing her beautiful amounts of love and care through her labor. He did not fall asleep once, instead he sat and stood by her through every moment. Shandi's mom was there too, supporting her, holding her hands, rubbing her head and showing an immense amount of motherly love and support. It just so happened that Shandi's brother flew in briefly to Corpus Christi and got to visit before heading back out and you could tell, the happiness and emotion in the room rose as he visited, joked and loved on his sister. 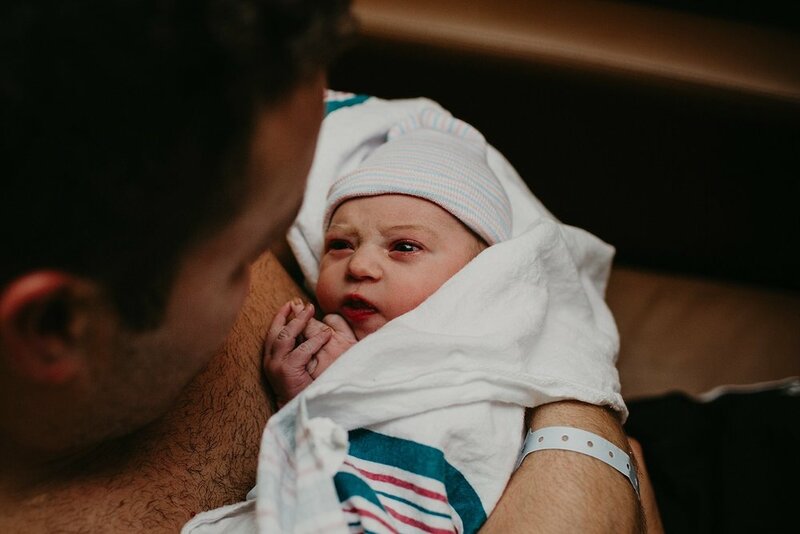 Later on, in the early afternoon Finnley Mae made her way into this world. She was a tiny beauty, ready to snuggle up and nurse with mama. 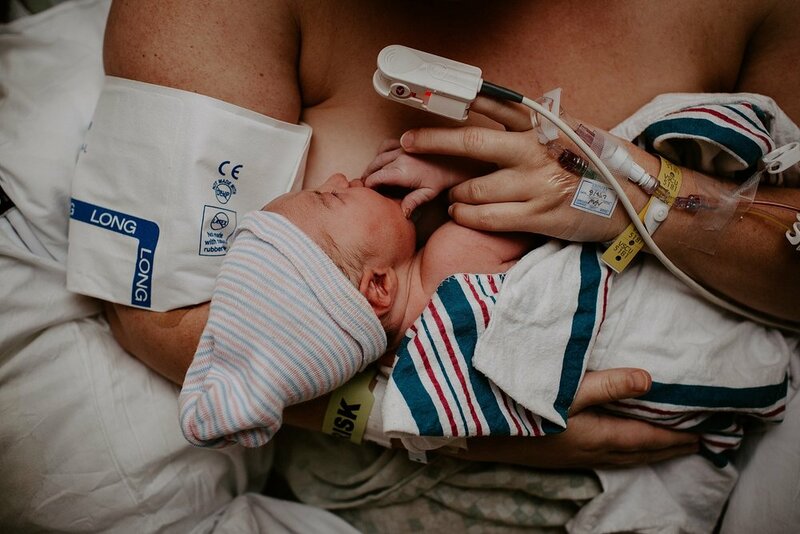 There was so much emotion circulating in the room as Finnley was placed on her mama's chest and shortly after she began nursing her. 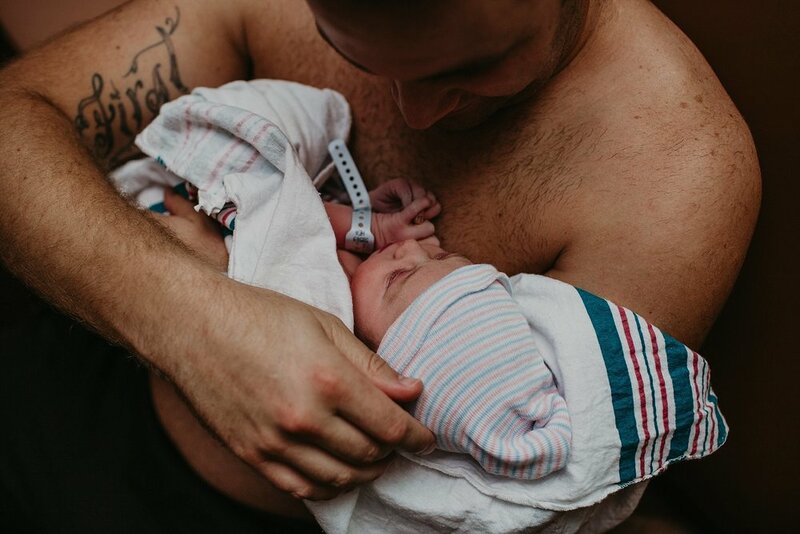 After some time spent nursing, Dave got to have some skin to skin with Finnley and Shandi's mom got to hold her new grand-baby! Fun fact: On my way home I had this overwhelming want for a double quarter pounder - if you know me, you know I do not eat McDonalds. I got one anyways, it was delicious. I went home and just knew I was pregnant. Sure enough, two little lines popped right up on that pregnancy test and now my husband and I are expecting our third in April!